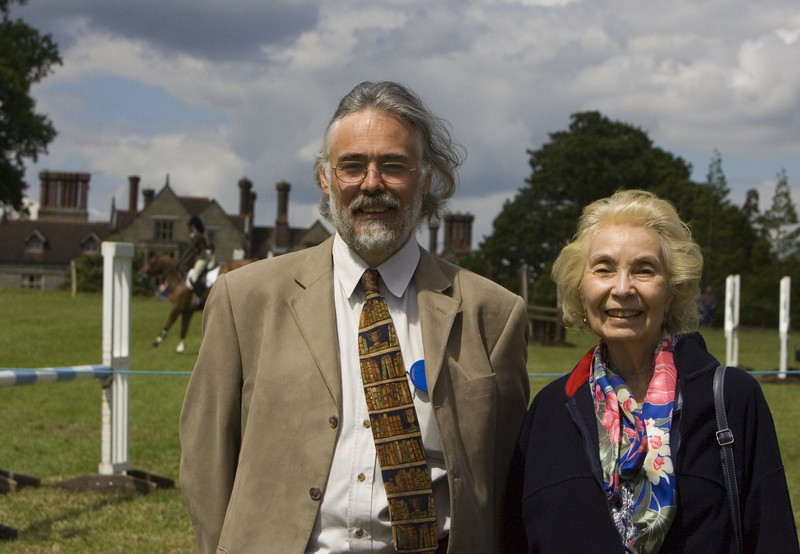 This week I interviewed Roland Clarke, Author of ‘Spiral of Hooves’. Let’s see what he had to say! Greetings Roland. How long have you been a writer? Depends on what counts towards being a writer. Although I have a few dim memories of trying to create stories as a child and inventing scenarios with my toys, the only distinct memory is writing my own tale when I was about 7, based on a book called ‘Old Mr Fox’ – I still have the book, but not my story sadly. 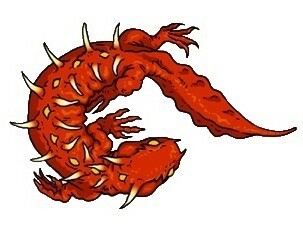 The first original pieces, excluding composition at school, were some fantasy/sci-fi shorts in my late teens. These included a fantasy novella when aged 18 – The Unicorn & The Prophet – but the draft got lost in Canada, where I lived briefly. Despite such brief forays into fiction writing and thoughts that it would be cool to become a full time writer, nothing really happened, although I got a job as a sub-editor on a weekly magazine. Therefore, in terms of attempting anything that I wouldn’t cringe at now, taking my first serious steps as a writer didn’t really happen until I was over 40. 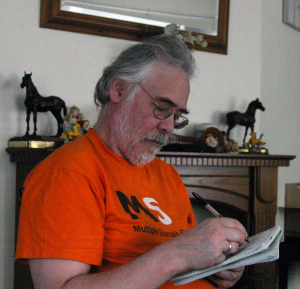 By 1995, aged 42, I was beginning to write short stories seriously, although I was never published – I left that up to my reports as an equestrian journalist. So I didn’t seriously see myself as a writer until I got remarried in 2010 – Juanita has become my inspirational alpha reader. Before I started in journalism, I did a summer job working in the arena party at one of the UK’s premier jumping arenas. 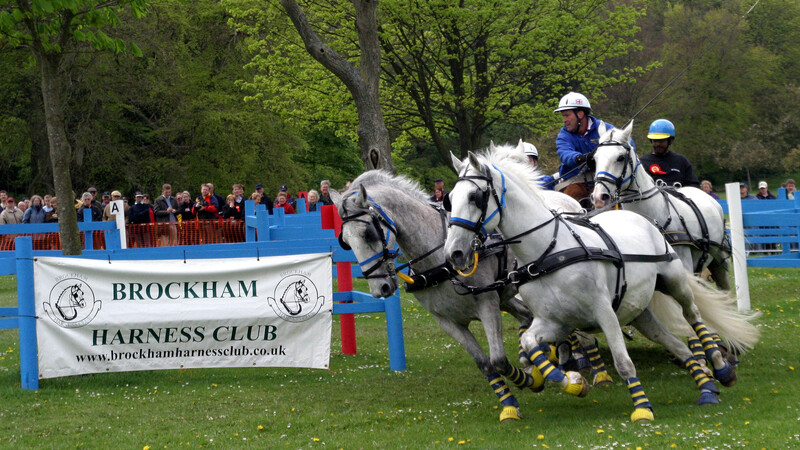 This led to an interested in building cross-county courses for horse trials. From what turned out to be a dead-end career for me, I began scribbling down the idea for a story an English rider and the Canadian course builder that she loves, until he disappears. Over subsequent decades all the twists and turns were developed, and many discarded, until I had “Spiral of Hooves”, into which I also wove some of the episodes from my career as an equestrian journalist, both amusing and serious ones. Sounds like you’ve been around horses all your life. What’s your favourite? Around horses but not so much on them. There have been a few times when a horse nearly persuaded me to devote myself to riding. In that case my favorite would be Maybe A Cracker, a 15h 3 mare owned by top eventer Vicky Collins, who was encouraging me to ride again. The mare was a joy to ride, boosting my confidence in my rusty abilities as we rode in the sand school and around the lanes. Vicky competed the mare for a short while, then a friend of mine, who is now a well-established journalist ended up buying her. So I used to see the mare out competing for many years, and joked that if the mare was moody then it was my fault. Sadly I never got to own a horse, even for a proper rider to compete. Although I liked creating stories in my head as a child, I didn’t start to write them down in an organised way until my teens, and only then for my own pleasure – never expecting for anyone to read them commercially. I did self-publish a fanzine but that was just for friends. However, I first thought about becoming a journalist when I was nearly twenty, which pushed the fiction into the bottom drawer. What type of genre do you write in and why do you enjoy writing in this genre? My first novel, “Spiral of Hooves”, is a mystery thriller so firmly in the crime genre, as are most of the other draft novels on my computer. I enjoy reading crime novels, and enjoy writing devious tales, that are not quite what they seem. I say that the novels are about what hides behind appearances –often people and what they do can be so deceptive. Appearances hide deadly truths in a Roland Clarke mystery. However, I have also reverted back to the fantasy and science fiction genre that got me scribbling as a teenager. I find the short stories that I write in that genre allow me to explore speculative ideas or delve into different mythologies, which have always fascinated me. Do you think one day you will cross the genres and make a Fantasy/Sci-Fi Crime Novel? Setting a crime in a fantasy/sci-fi world fits well with where some of my writing is going. In fact, for NaNoWriMo in 2011 I wrote a fantasy novella, called “The Last Leaf”, which had a mysterious death as a central strand. Some of the antagonists in my fantasy/sci-fi shorts do commit crimes in the course of their actions. When I was about 12-years-old I was one of the winners in an essay writing competition, in which I wrote about ‘The Day in the Life of a Helicopter Pilot’ – more docu-drama than fact, I suspect. The winners spent three days with the Royal Navy, which was amazing as we visited a Fleet Air Arm airbase, a submarine depot, and went by destroyer from Portsmouth to Davenport. However, I have won no awards for my fiction, yet. Where do you find your inspiration and what motivates you? Most of my inspiration comes from dreams, which I then develop as I wake up. I also get ideas from articles that I read, or even from random thoughts. A Muse perhaps? Some thoughts develop into novel ideas and others can be told as a short story. Being outside has always motivated me, but that is harder now that I am in a wheelchair. Classical music and film music is another motivator. In terms of reward, playing Massive Multiplayer Online Role Playing Games – MMORPGs – is my way of winding down but they can also inspire and motivate… when they don’t distract me. J.R.R Tolkien has always been my favourite author, and I am also a fan of other fantasy authors like Anne McCaffrey, Charles De Lint and Robin Hobb. Most recently I have been swept away by Pat McDermott’s Band of Roses Trilogy, and can’t wait for the sequel to Ailsa Abraham’s Shaman’s Drum. Among the crime writers that I read, Kathy Reichs and Linwood Barclay are my favourites along with Agatha Christie. 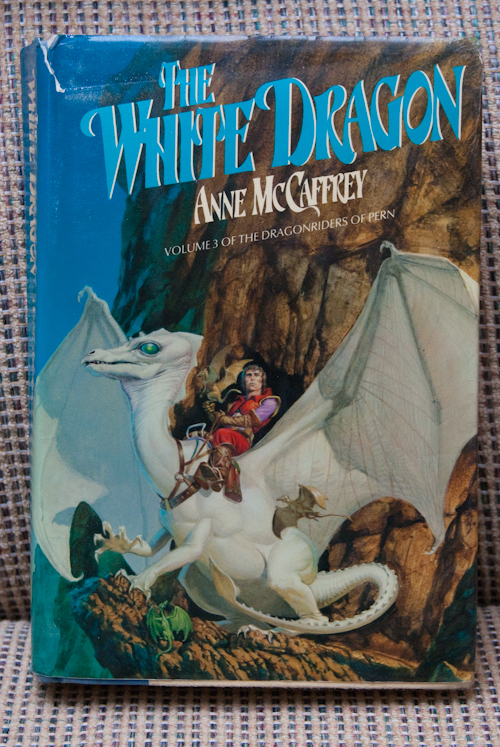 Anne McCaffrey is also one of my favourite authors as well. Which of her books do you like the most? I avidly read all of The Dragonriders of Pern series, of which my favourite is “The White Dragon” – the first science-fiction book by a woman on the New York Times best-seller list. Having discovered “Dragonflight”I had to read anything about Pern. 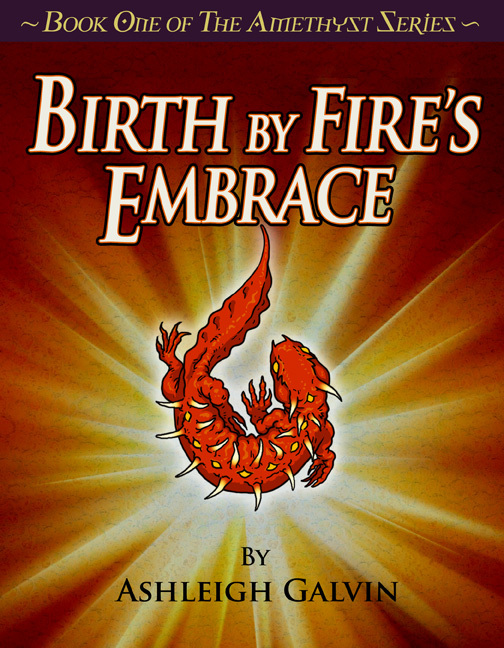 Although the series seems rooted in fantasy, the science fiction elements gradually emerge, and with that in mind I enjoyed reading the ninth book released, but first chronologically, “Dragonsdawn” as it established how the Pern colony began. However, “The White Dragon” with its brilliant characters – human and dragon – managed to weave all the elements into a great read. Now that I am in a wheelchair my passion for exploring archaeological sites and travelling has been stifled, but I get outside when I can to enjoy a bit of token gardening. But as I have said my main pleasure besides writing is gaming, and my wife & I are currently playing Rift and Star Wars: The Old Republic. How many books/stories have you written? Do you have a favourite? 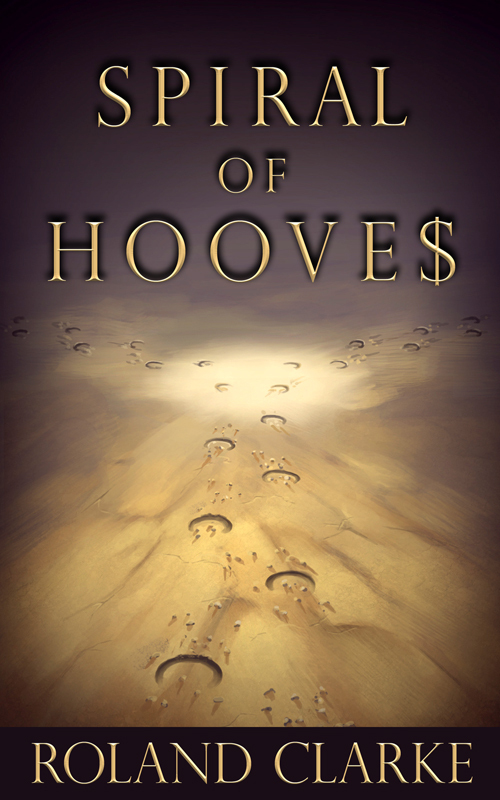 If we are talking about published then one novel, “Spiral of Hooves”. If you mean written, then there are four other novel-length manuscripts at various stages from first rough draft to revised multiple times. Favourite is probably “Fates Maelstrom” – the novel I’m trying to finish next. Short stories are harder to count. Although I have written dozens, there are ten being edited at the moment to make up a series called “Gossamer Flames” – my favourite being ‘Weave of the Sister Skein’, the one that set the whole series idea going. When do you hope to finish ‘Fates Maelstrom’? I would like to finish “Fates Maelstrom” this year but there is a major re-write needed as I am changing the setting. Editing and revising are my least favourite side of writing. I need to get some of the short stories at the beginning of “Gossamer Flames” released first, as they are what I am promising my readers on my website. Easily distracted is the theme of my day. I attempt to get emails out of the way first, and reconciling our accounts, but find it too easy to find other things to do, including surfing the internet. However, I eventually – mid-afternoon – make time to write, or edit, but not both before MS exhaustion sets in. My wife Juanita, who has become my unflagging carer, also ensures that there is some structure to our day, ensuring we eat and generally reminding me if things need doing. I attempt to develop the characters and plots, usually when I wake up and I am lying in bed. But once writing the first draft there is room for new avenues to emerge. Editing is the hardest part of my writing so the most easily evaded. I’m working on two projects at the moment, having decided that my second draft novel, needed some major rewriting. “Gossamer Flames”,the series of shorts mentioned above is my priority as I can gradually release the stories over time, and keep my readers entertained. All the stories are set on Earth, after an accident causes the devastation of the planet. I’ve been writing them as inspiration comes, but as the series has evolved a timeline, I needed an opener. “Ghost Lights” is the only story that that occurs before the apocalyptic event, but it foreshadows and sets up some of the events and later characters. The first story and some of the series will be available to those that subscribe to my newsletter on www.rolandclarke.com, but the complete anthology will be released as three Books. I’m also doing some research for “Fates Maelstrom”, which in the first draft was set in a fictional village on the edge of Dartmoor, in England. But this crime mystery will be set in Snowdonia in North Wales, where I now live, so I need to learn more about the area and its mysteries. The story opens with a student called Twyla Locke being accused of the murder of her grandfather. Forced to prove her innocence, she is also troubled by signs that she is either mentally ill, or that someone is impersonating her for their own gain. An American journalist, Brogan Keyes might be a valuable ally, or he is manipulating the situation for his own reasons. The setting plays a central role, both the natural landscape and the man-made. What do you find is the hardest part of writing your book? The hardest part for me has to be the revision stages, once I get to about the third or fourth and I feel that the plot is not working. Doing a major revision when I have already got the plot and the characters embedded in my head is very hard. That is possibly the reason why my second draft novel is sitting on ice. After the third revision, it came back from two critique readers and from a professional editor, and it was clear that there were some major problems. One was the result of a major change of POV made in the third revision. However, the overall story still retains a strong hold on my imagination, so it will not be shelved forever. What do you find is the easiest part of writing your book? As long as I have done a detailed outline, the first draft is the easiest and I can write one in about a month. I have done three draft novels that way – my second novel and two NaNoWriMo successes, including “Fates Maelstrom”. 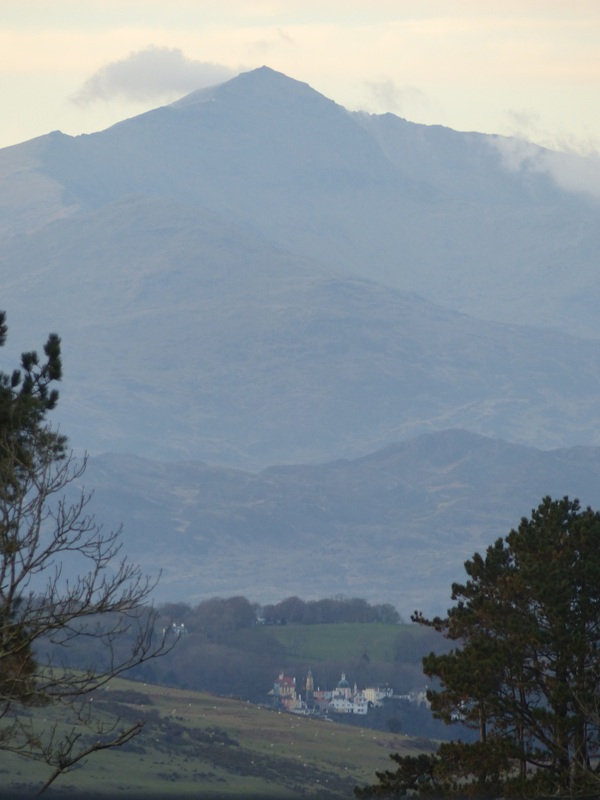 The view from Roland Clarke’s work desk – zoomed in on Snowdon and village of Portmeirion. Added inspiration for ‘Fates Maelstrom’. “Spiral of Hooves” is stand-alone, althoughthere are sequels in the pipeline, so it will be part of The Chasseur Series. I’ve done the first draft of “Tortuous Terrain”, set against endurance riding in Idaho and Nevada in the USA, and it has more murders so reads darker. I have a rough idea for “Suicide Seat”, set against carriage driving. The title could mean a greater body count, or maybe more thrills and deceptions. Tell us about the cover. What do you like best about it? The cover of “Spiral of Hooves”, by Danielle Sands is subtler than on some crime novels, with no overt images like blood or weapons. Yet the hoof prints disappearing two ways across the sand, or snow, into the darkness give a sense of mystery. “Spiral of Hooves” is published as an e-book by Spectacle Publishing Media Group – and is sold at Amazon International, Amazon UK, and Barnes & Noble. Never give up, keep writing and reading because that’s the key to learning your craft well. Writing is a craft that we all spend years perfecting, probably a lifetime. Avoid writing without some sort of map if you can; but it only needs to be a rough guide not a fixed itinerary. Don’t expect to complete that first novel overnight. It takes a lot of sweat and patience, plus discarded ideas and words, especially if all criticism is taken on board. If you could go back 10 years, is there anything you would change or warn yourself about? Ten years ago would be too late to warn myself to take it easy so not to stress myself so much that I fell ill with multiple sclerosis. In fact nobody yet knows what causes the disease, only that stress makes it worse. I think that changing anything might mean missing out on learning experiences. They all help with aspects of my life and writing. I hope to still be living in Snowdonia with my wife, but having published at least two more novels and my set of shorts, “Gossamer Flames”. It would be great to think that I would no longer be confined to a wheelchair. If you are tempted to read more murderous mystery, then you can visit: http://rolandclarke.com/spiral-of-hooves/. Readers can discover more about Roland Clarke and his work by exploring www.rolandclarke.com and by visiting https://www.facebook.com/rolandclarkewriter. An in-depth interview by an Australian writer colleague that had me delving deep into my brain for memories, motivation and muses. Read more about me at Ashleigh Galvin’s Blog. Thanks Ashleigh for the chance to tackle some seriously taxing questions – I had fun.